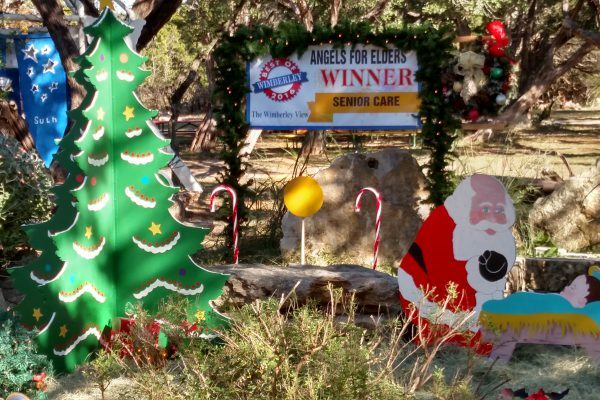 Angels for Elders recently participated in the First Annual WWW Event and won the People’s Choice Reward for favorite tree. This event showcases Christmas Trees, Wreaths and Table Arrangements in a fun family friendly setting at the Wimberley Community Center. Participants get to wander through the wonderland, enjoy refreshments, watch live entertainment and visit with the Santa Claus provided by the Sheriff’s Department Brown Santa Program! Be sure to add this exciting event to your calendar for next year!